Jamie & Michelle Lawson own a company callled Straight On Pty Ltd, which has been organising and running iconic Charity Motoring Events throughout Australia over the past eighteen years. These events include the Great Endeavour Rally for the Endeavour Foundation, Cystic Fibrosis Great Escape and previously the Kidney Kar Rally. Although Straight On Rallysport is primarily a hobby and passion for Jamie & Michelle, it is a great tool to help promote their events and everything that they do. JAMIE LAWSON (pictured) is the back bone of SOR. 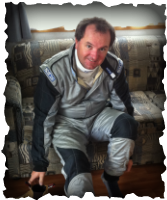 Not only does he drive the team and the dream, he also pilots the Devil Ute. Jamie has been involved in Rallying all his life, following in his father, Allan Lawson's footsteps. The SOR team at the 2013 Alpine Rally included 3 generations of Lawsons and 3 generations of Smiths. 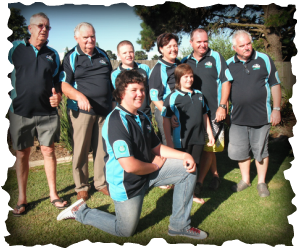 Coming from both Brisbane and Toowoomba, all travelled down to Lakes Entrance in Victoria to be part of the team. the SOR Team mostly comprises of family members, but everyone and anyone is made welcome in our service park.